So we did it! After a couple months of asking for you guys to review us in iTunes, we finally hit 101 today. What does that mean? 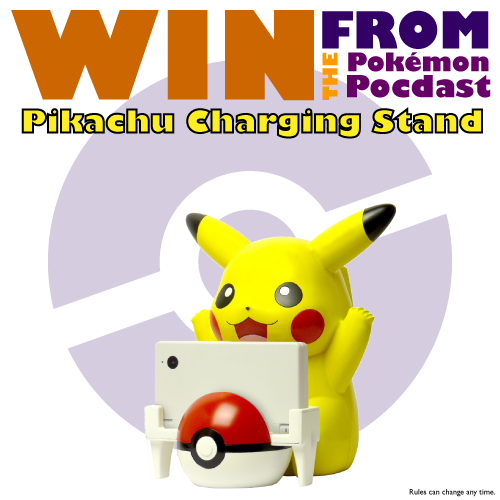 It means one of you lucky iTunes Reviews gets a Free Pikachu Charger for DSi and/or DSi XL! Amazing right? • Include in the subject line, "Pikachu iTunes!" No catch to this contest. We will be accepting your e-mails until Feb 1, 2011 - so e-mail us your Review ASAP to win! Thank again to everyone who helped and took the time to review. This show keeps going because you all are awesome! You can still enter to win by reviewing us now and sending the e-mail. Don't delay, win today!